See in Glossary path renders each object in one or more passes, depending on lights that affect the object. 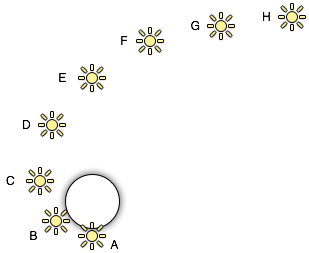 Lights themselves are also treated differently by Forward Rendering, depending on their settings and intensity. See in Glossary. Directional light rendered in this pass can have Shadows. Note that Lightmapped objects do not get illumination from SH lights. See in Glossary. This means they do not support light Cookies or normal maps.